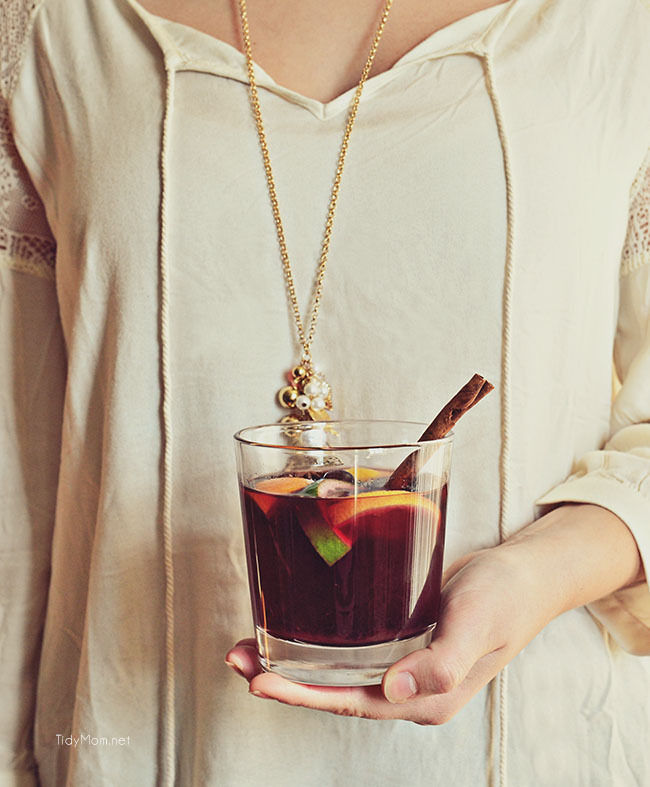 Perfect for a holiday gathering, this warm mulled wine recipe is ready to serve in 30 minutes. It’s so easy to make on the stove, or mull it in the slow cooker. It’s kind of like mulled cider……only better! Mulled Wine, or Glühwein as it’s called in German-speaking countries, is a traditional beverage that is offered during the Christmas holidays. I’m serving mulled wine today for a Thanksgiving Cocktail Bloghop . I recently learned about Mulled Wine at a wine tasting event at our local grocery store. I was chatting and sampling wine with the fun lady at the yellow tail table when she told me about Glühwein or mulled wine. She said mulled wines have been warming people for centuries. Typically mulled wine is made with red wine, the wine is sweetened, spiced and heated. She assured me that the mulled wine is a delightful alternative to traditional coffee, cider or a hot toddy at holiday gatherings or just on a cold winter’s night. I wrote down everything she told me to make German spiced wine, bought a bottle of yellow tail sangria and figured I’d make it for one of our holiday gatherings. I was told the secret to a good mulled wine, is to toast the spices in a pan for a bit to intensify their flavors, and to add a little apple cider, honey and brandy to the wine. Mulled wine is like a mix of a spicy mulled cider, sangria, and a punch. It’s sweet and tangy and tastes just like Christmas in a glass! Hot wine it’s guaranteed to warm you up on a cold winter day. I made mine on the stove top, but it can also be kept warm in a slow cooker to serve at your next holiday party. Mulled wine is cheap easy and forgiving. No need to break the bank. Use a cheap red wine, that is fruity. Whole spices – I picked mine up in the bulk section at Whole Foods, that way you can just buy a small amount. Heat/toast the spices in a pan for a bit, add them to the pot of wine, with a little honey and apple cider. And let it simmer. How simple is that? I added some lemon, lime and orange slices before serving and just a little brandy. You could omit the brandy and add it to each glass if you’d prefer. Now you’re ready to fill up your glasses and snuggle by the fire or party! 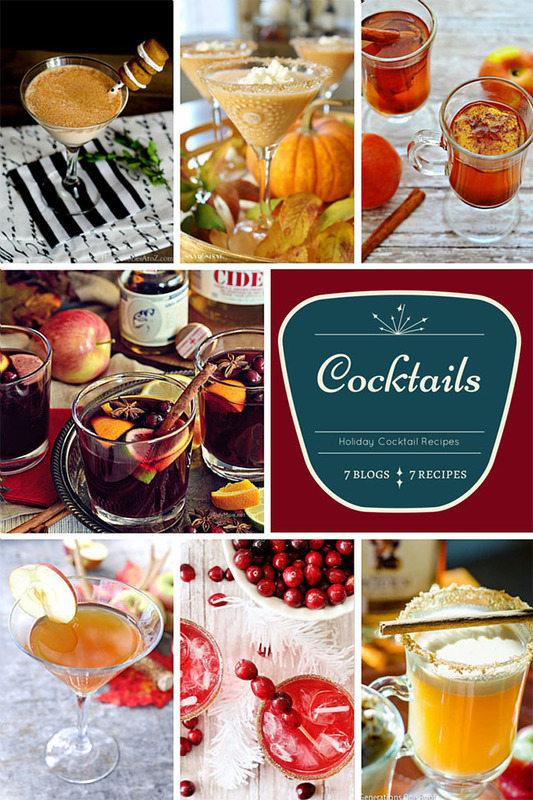 Be sure to check out more Holiday Cocktail Recipes from the other bloggers. 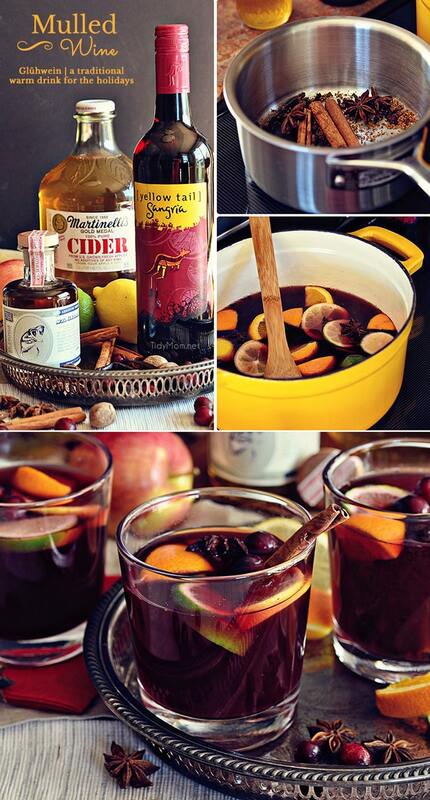 I love how Sangria-like this mulled wine is! 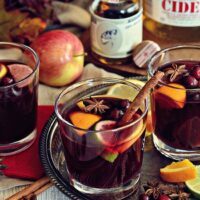 I make mulled wine every year at Christmas, but without the fruit…definitely need to try this recipe this year! So cozy looking. I’ve only read about mulled wine before in a romance novel. 🙂 Love the recipe and your photographs are OFF THE CHARTS!!!!!!!!!!!!!! Stunning pictures and hello yumminess!!! We drink this during the holidays too! Your recipe sounds even better than ours though! Can’t wait to try it. I already knew you were amazing at so many things – but now this – you are amazing girl! Thanks for the recipe! This recipe sounds yummy, but this way is not German. May I suggest to sweeten it less. This mix sounds like it will give you a major headache the next morning! Be careful with the nutmeg, since it brings a strong different tang to this drink. I would use cardamom instead. Limes are also not commonly used in Germany. And the secret really lies in the wine. You suggest to use cheap red wine which may be responsible for next day headaches…if you use quality wine (good quality, not your 20-year old $100 Bordeaux) the taste will be much more mature and not so sweet sangria-like. Prost! This looks like such an easy fall drink recipe. I could go for a glass (or 3!). Love how the whole spices photographed too. Pinned! We are on the same page, I have a recipe for this coming up next week — love your photos! Wow. Your photos are amazing! Definitely makes me want a sip. 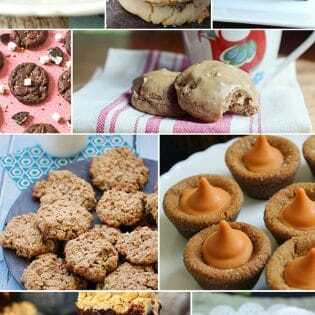 I absolutely adore the pictures in this post – AND the recipe!! I added your drink to my roundup, I hope you enjoy! This looks so delicious! 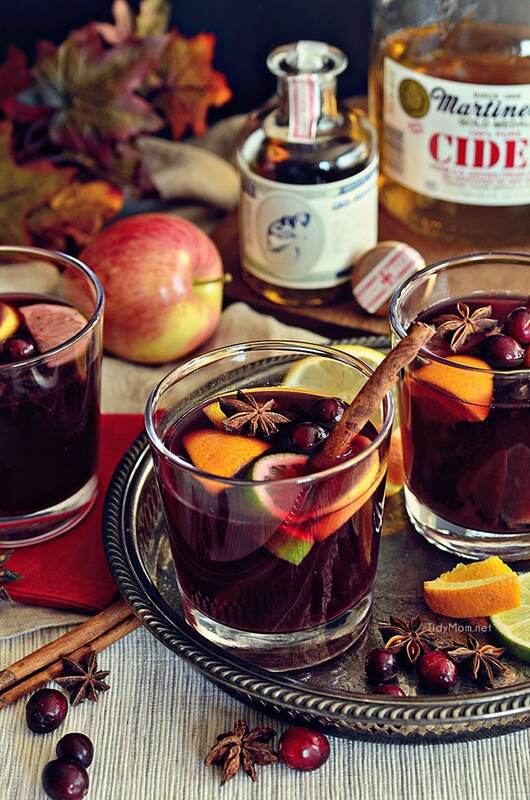 I didn’t know you could use cider in mulled wine… awesome! And your photos are just out of this world gorgeous… like reading a magazine! Very happy I found your website. Do you leave the cover on or off of the crockpot? Love this for holiday dinners and cocktail parties. Definitely giving this a try. 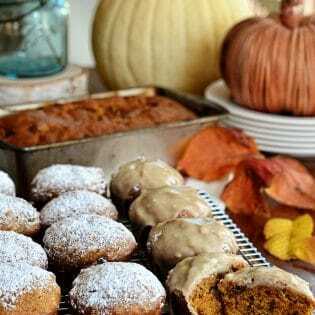 This is on my list for our holiday gatherings! This will be PERFECT to make on Christmas Eve. I can’t wait to try it! I can’t wait to try making this – I’ve never made it homemade before!